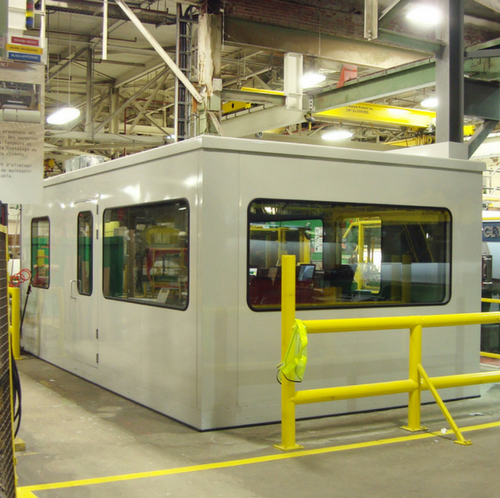 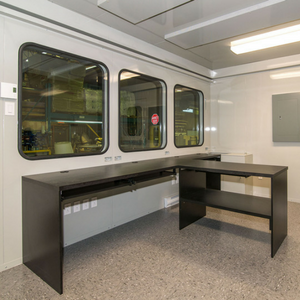 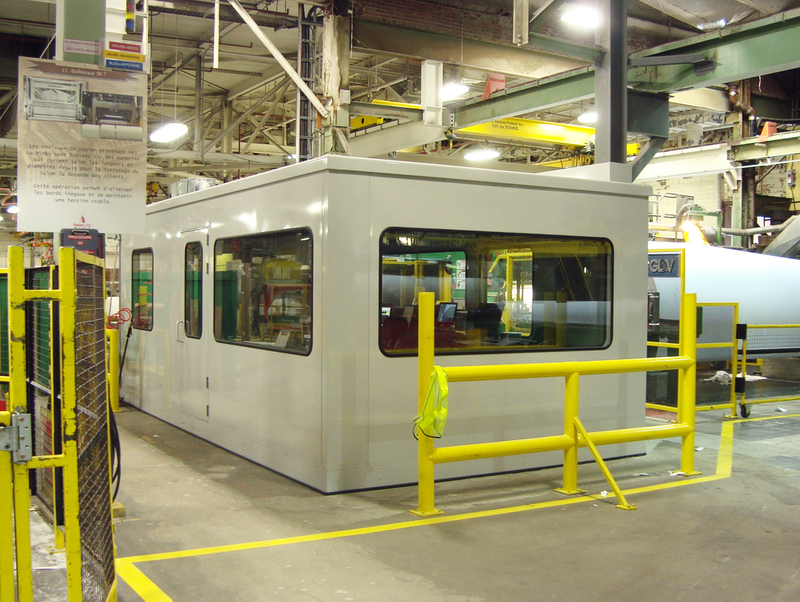 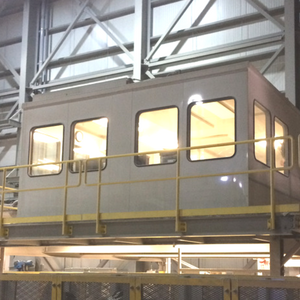 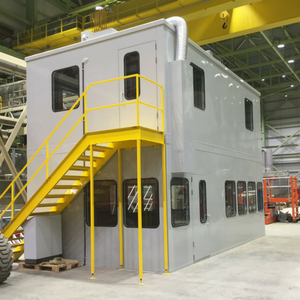 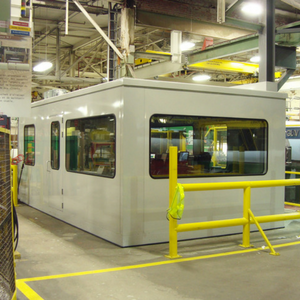 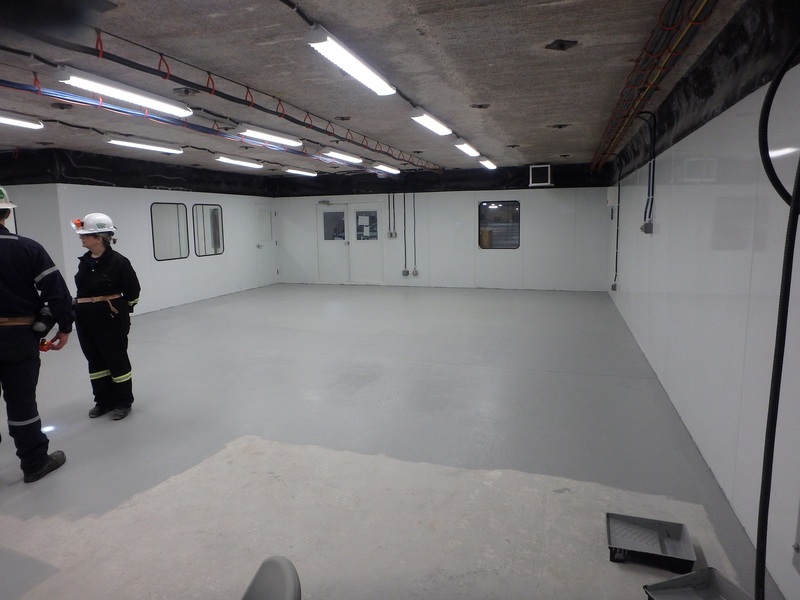 Whether for a conference room, lunch room, rest room, or factory office, MECART modular buildings allow workers to have a safe and quiet place, isolated from noisy environments and dangers in the factory. 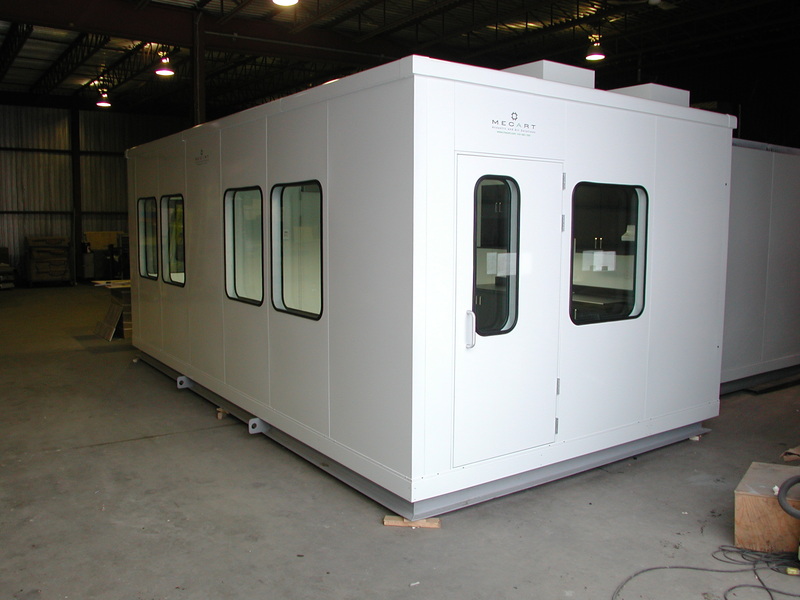 MECART modular buildings are designed with high-performance acoustic panels. 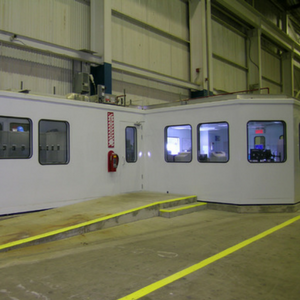 They are perfect for the noisiest industrial environments. 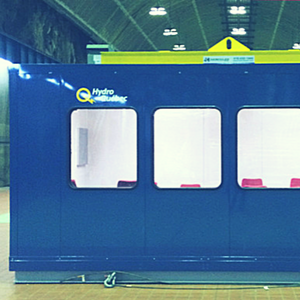 The acoustic performance of our components is laboratory tested and certified. 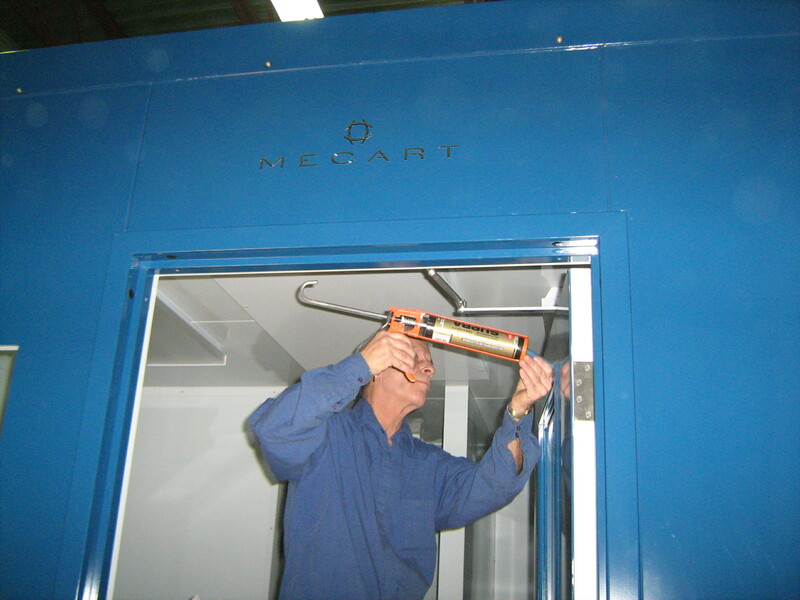 MECART can help define your acoustic requirements and design a building that meets the desired acoustic reduction or required by health and safety standards. 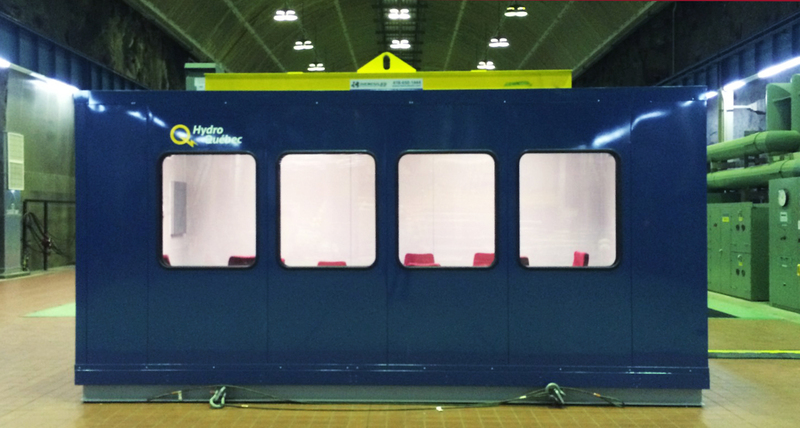 No matter how difficult, we can meet the most demanding requirements, whether it’s a 25, 35, 45 or 55 decibel reduction. 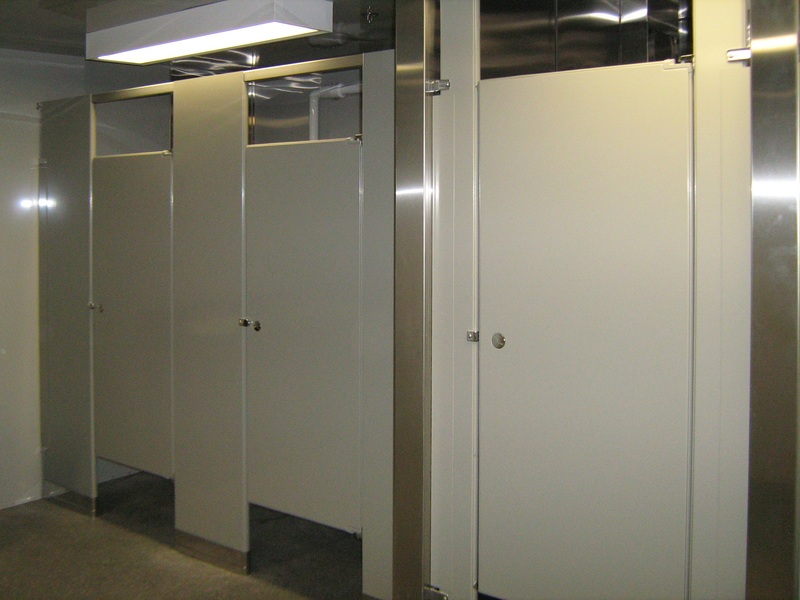 We can even go up to 70 decibels if necessary. 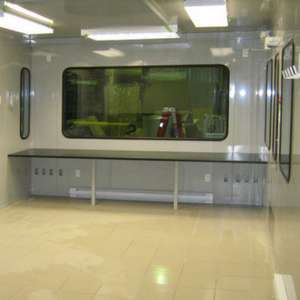 We treat each case differently, depending on which frequency bands you are dealing with. 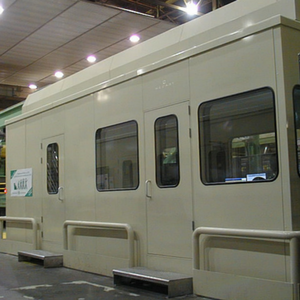 Watch this video to see the acoustic performance of a MECART acoustic building. 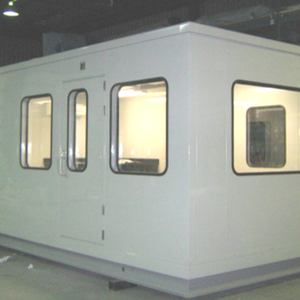 MECART modular buildings (factory/in-plant offices, conference rooms, rest rooms, lunch rooms) are suitable for indoor or outdoor use. 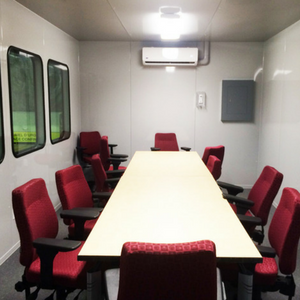 Depending on the environment in which your soundproof office is installed, we adapt the design and engineering of the room accordingly. 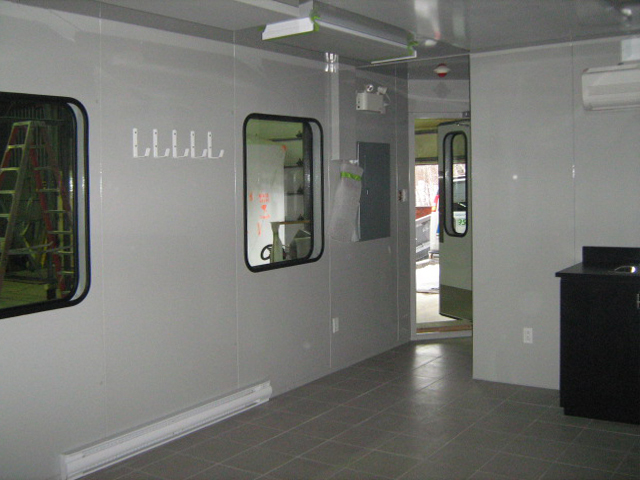 For outdoor use, we take into account weather conditions, which influence the ventilation system, windows, doors, roof and structure and resistance to particular loads (wind, snow, etc.). 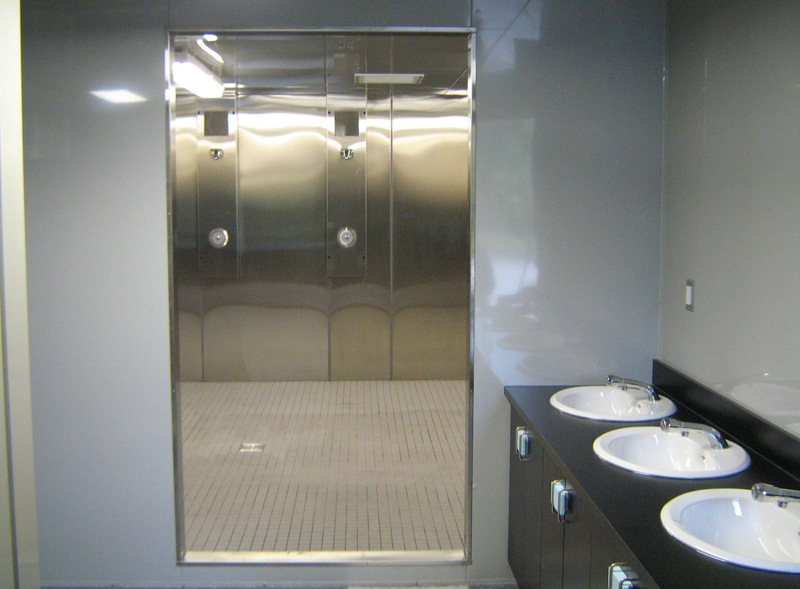 Special attention is paid to waterproofing, corrosion resistance and UV protection. 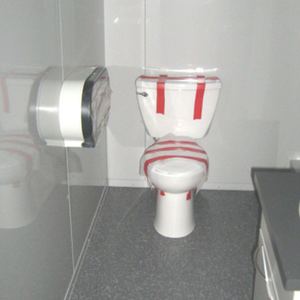 Even the hardware and accessories will be selected accordingly. 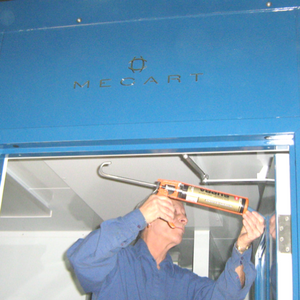 MECART factory offices offer your employees a safe, secure place, even in the heart of the action! 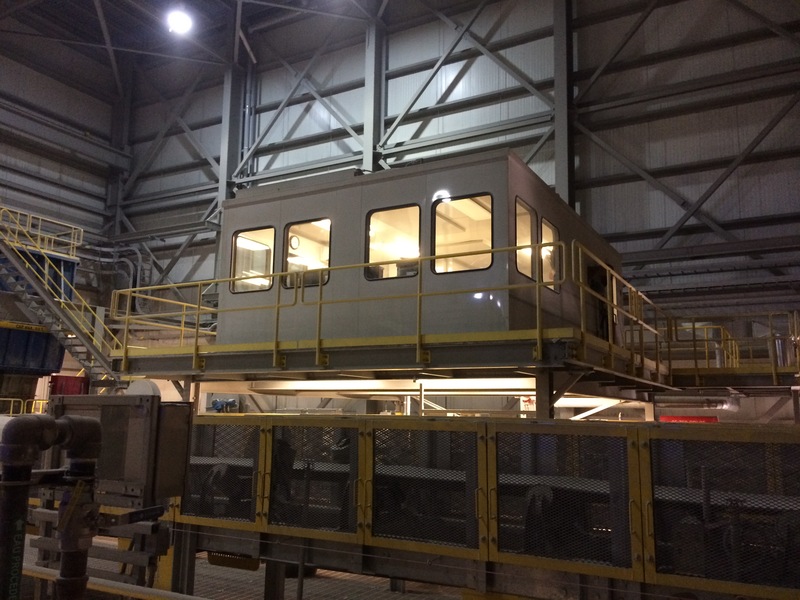 The extreme heat of a smelter, the very dusty environment of a pulp and paper mill, or the noise and vibration of a mine, are not too hostile for MECART buildings. 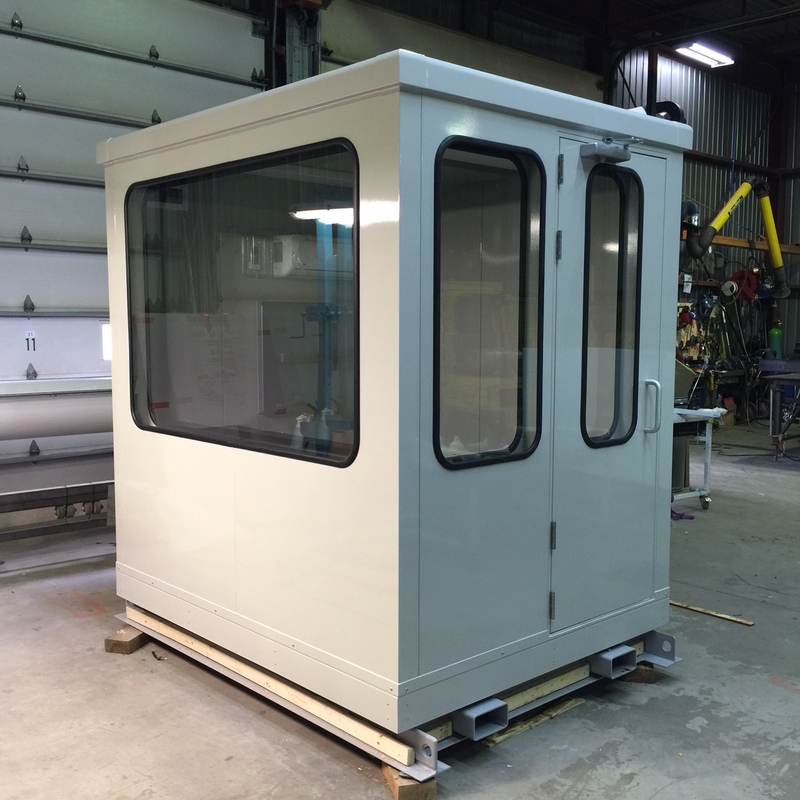 Additional corrosion protection, stainless steel use, radiant heat protection system, ultraviolet and infrared resistant glazing are just a few examples of the customization of buildings and materials that we can adjust according to your needs. 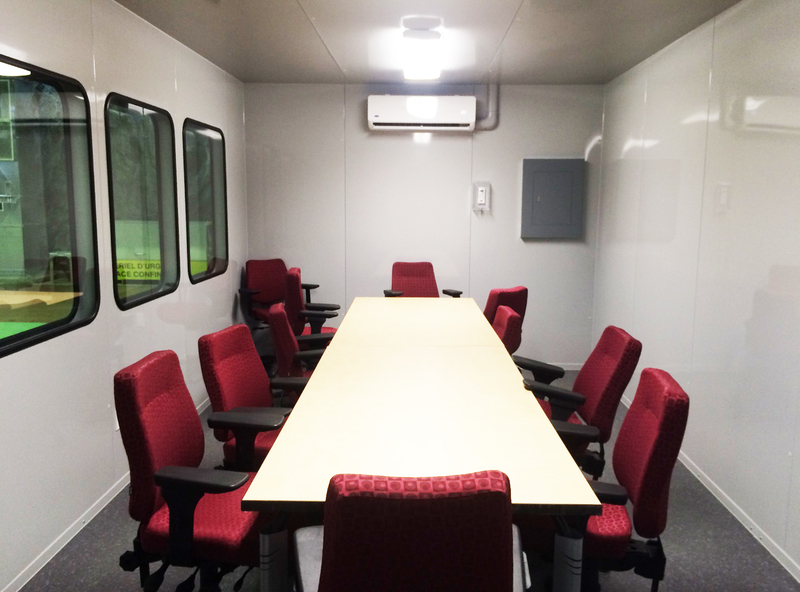 To preserve a comfortable and quiet place for your meetings, even in the midst of the action of the factory! 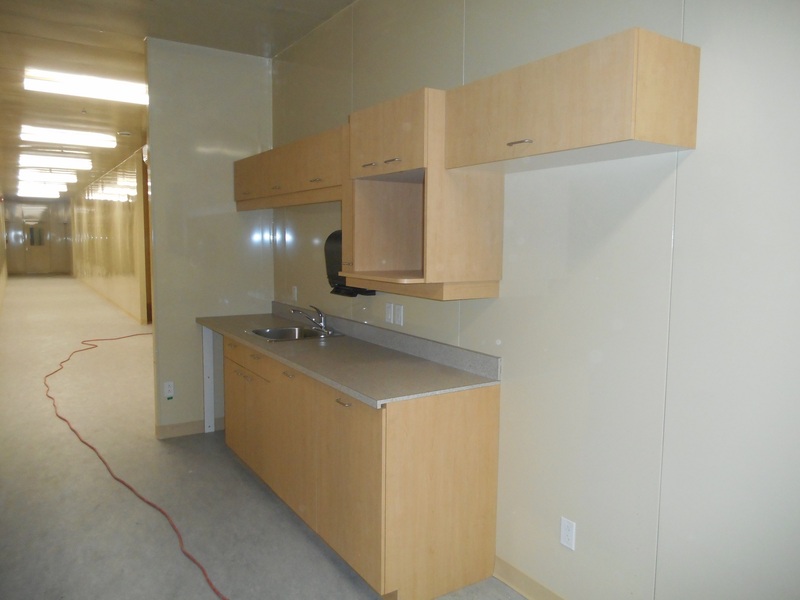 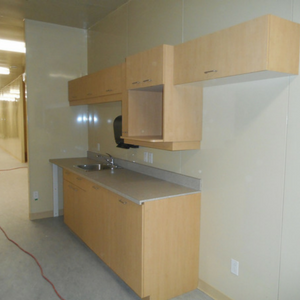 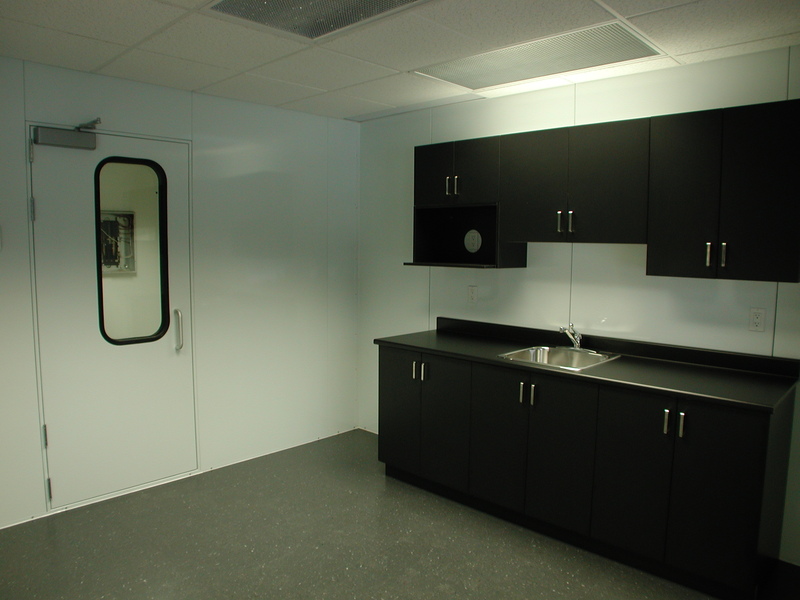 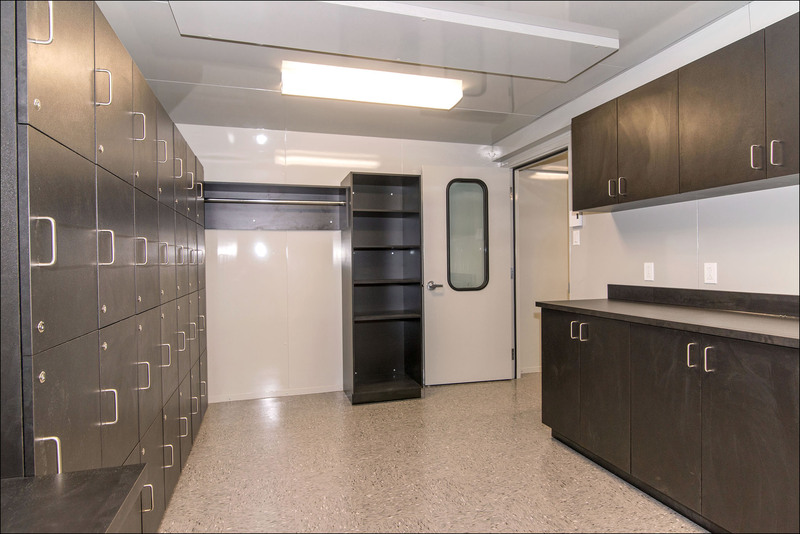 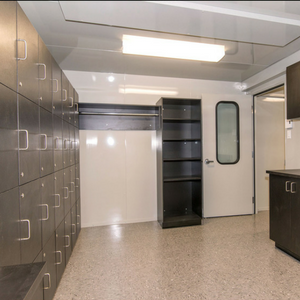 Countertops and cabinets in laminate, stainless steel or melamine, complete plumbing, preparation for refrigerators, microwave and toaster racks, lockers, cabinets … There is no limit to the interior design of our modular buildings. 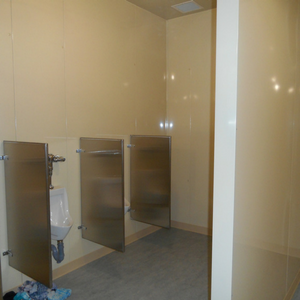 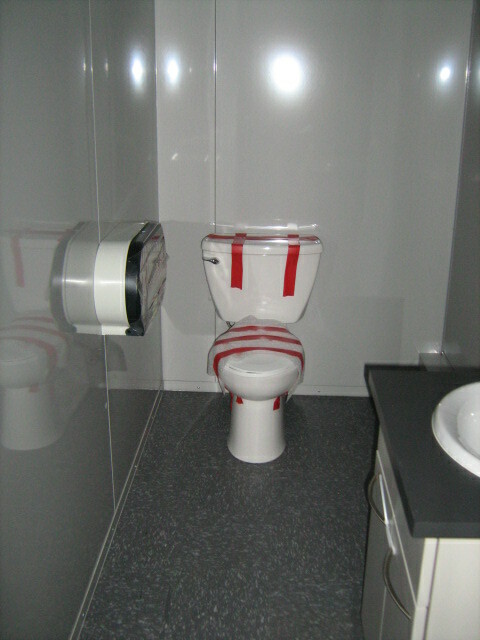 A room with toilets and showers can be attached to any MECART modular building. 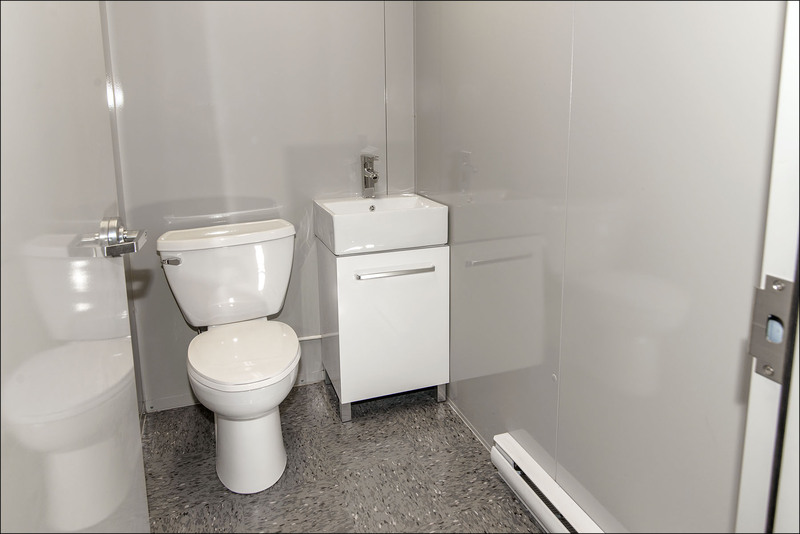 All types of plumbing equipment can be included: toilet, shower, washbasins, bathroom accessories, etc. 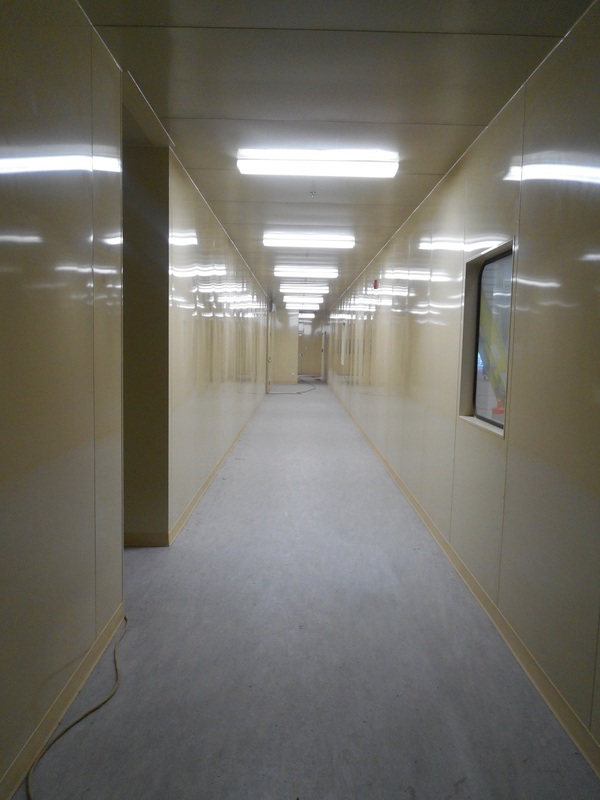 The walls have the necessary services built right into them, including telecommunication outlets (internet, telephone). 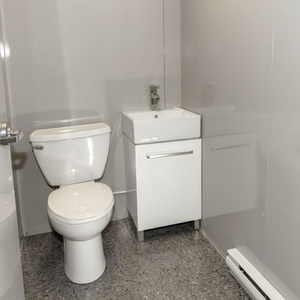 An electrical gutter can be added to allow quick and easy connection of your cables. 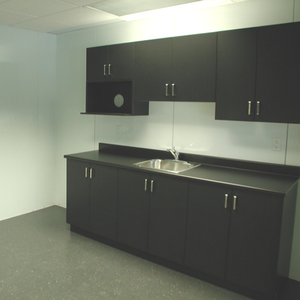 Office furniture can also be provided. 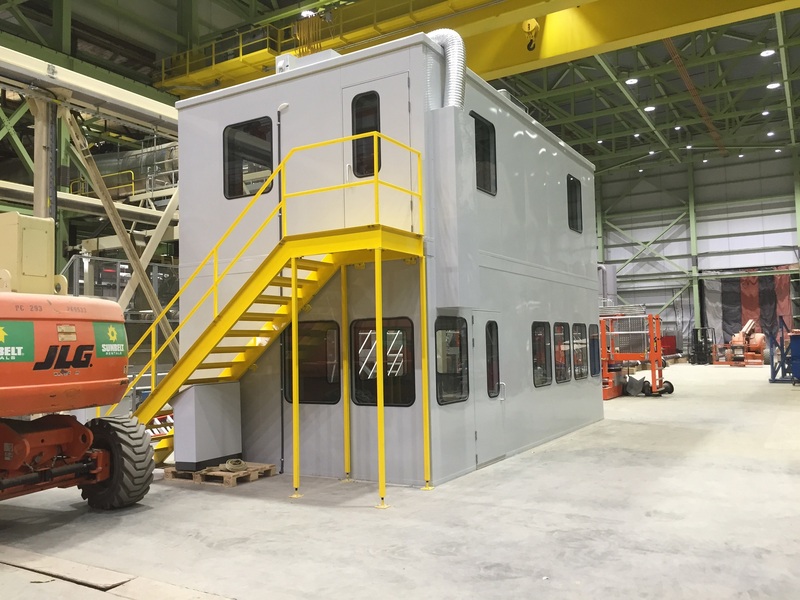 In modular soundproofed buildings, HVAC systems must be equipped with high-performance silencers to prevent noise from entering through the air inlets and outlets. 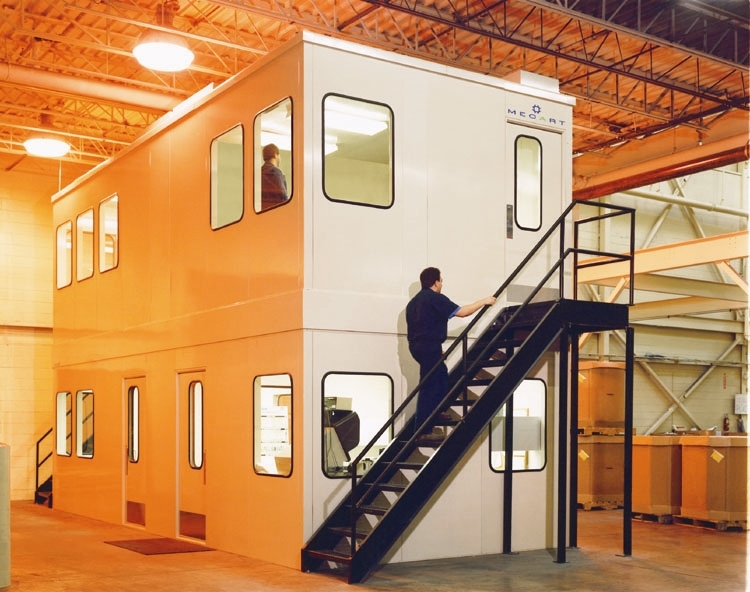 MECART modular buildings (factory offices, conference rooms, rest rooms, lunch rooms) are often maintained in positive pressure (pressurized room), which means that the air exits the room instead of entering. 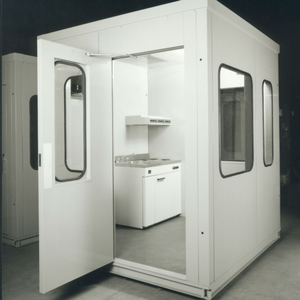 When opening the doors, positive pressure prevents external dust, chemicals, snow, etc. 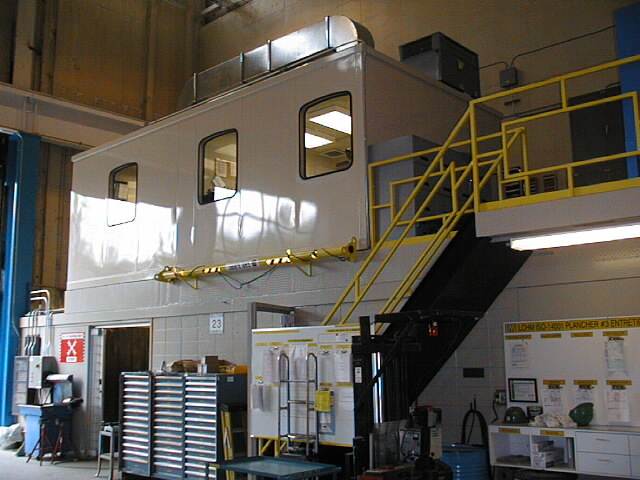 from entering, maintaining an uncontaminated, comfortable and safe workplace. 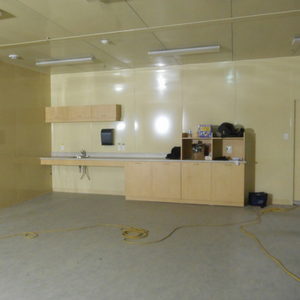 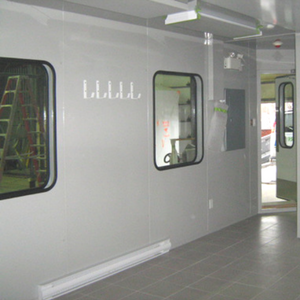 Mechanical and electrical services are integrated into the modular wall and ceiling panels during fabrication, as well as control panels and access hatches. 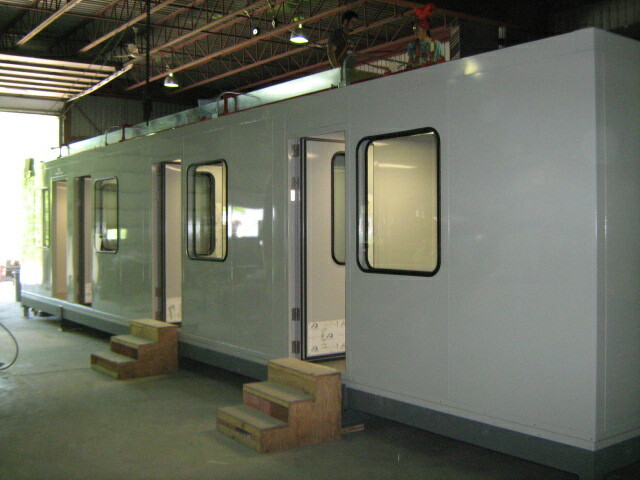 No cutting or adjusting of the panels is necessary in the field, and electrical connection needs are limited. 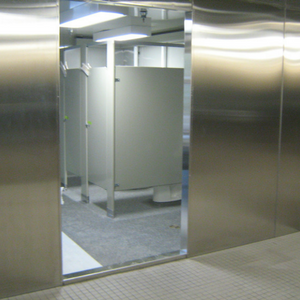 Our Hook & Seal assembly system allows easy and fast installation. 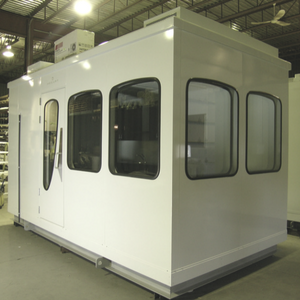 Two modular systems are available, modular field assembly where the prefabricated panels are assembled on your site or modular in-plant pre-assembly (delivered in one piece). 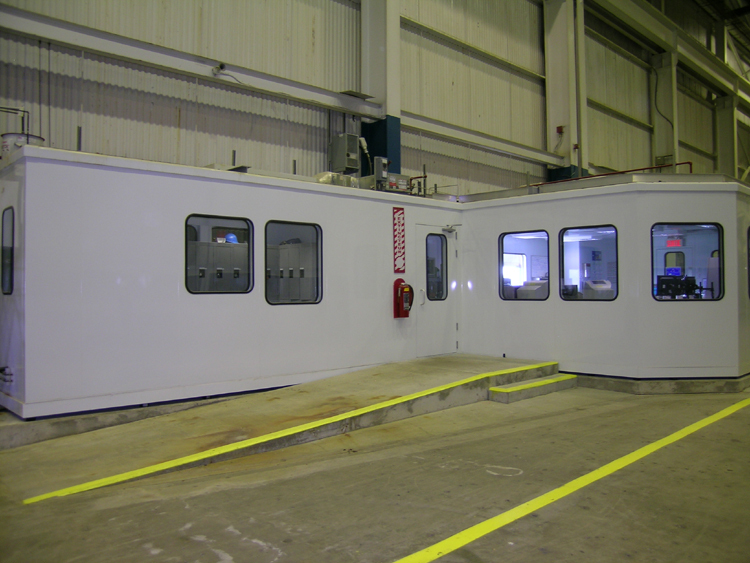 MECART modular buildings are available in a turnkey option, meaning we take care of everything from preliminary engineering through to manufacturing, assembly and delivery. 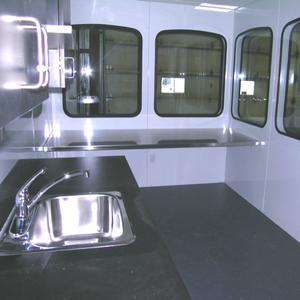 We can even supply and integrate furniture, made to measure or not in the room before delivery. 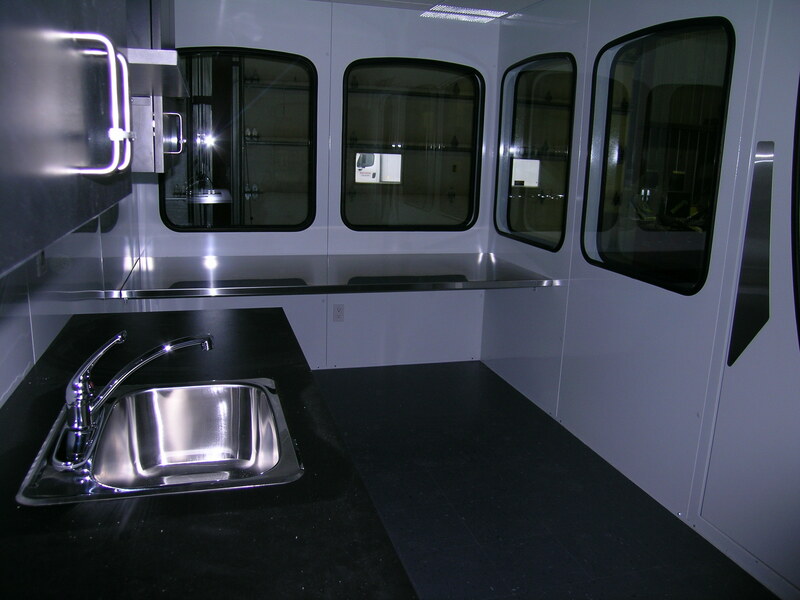 This includes work desks, cabinets, counters, lockers, toilets, sinks, accessories, etc. 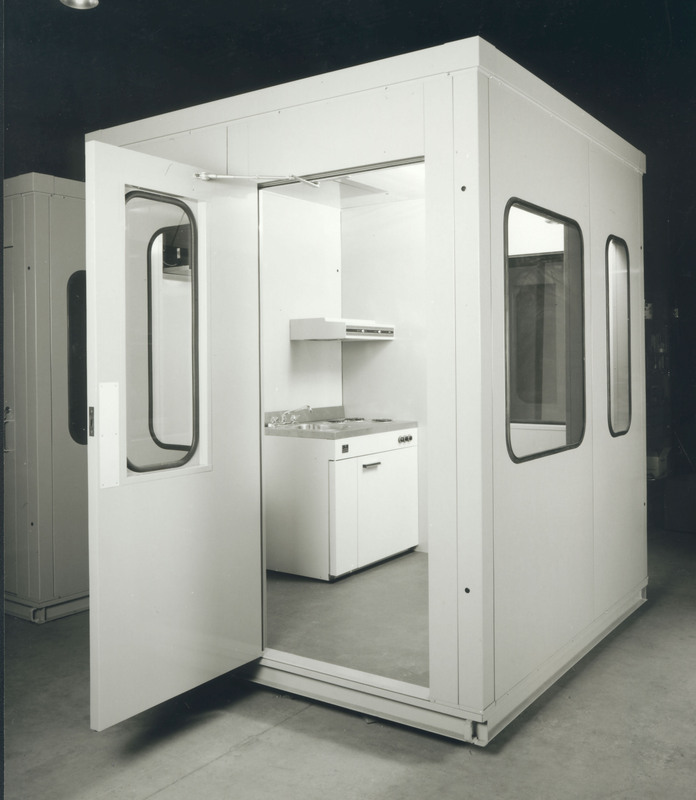 For the floor, two options are available: a floorless installation (using the existing floor) or the installation of a floor by MECART, for even better acoustics (STC-45 and more). 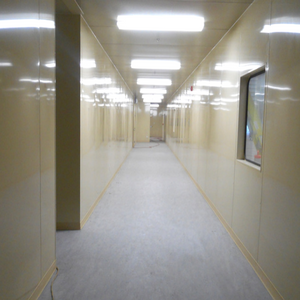 Depending on the desired acoustic reduction and the condition of the floor, it is sometimes possible to achieve the desired acoustic insulation without an acoustic floor. 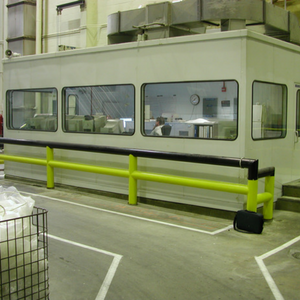 This is the case, for example, with well-leveled concrete floors. 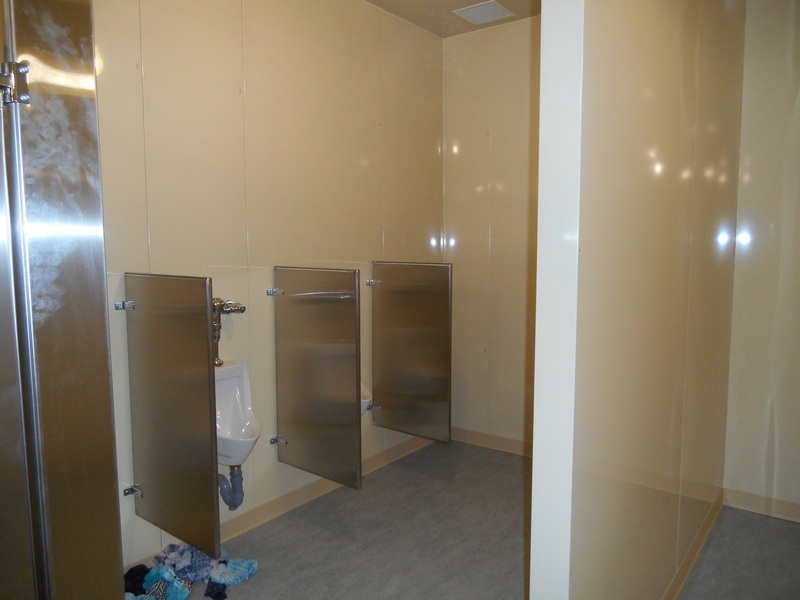 In the latter case, a standard floor covering can simply be installed. 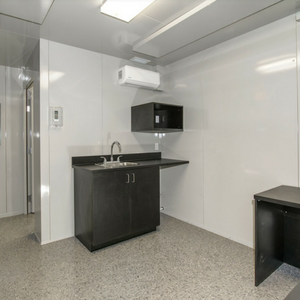 If the building is situated on a non-insulated metal structure or uneven floor, an integrated floor design is often recommended. 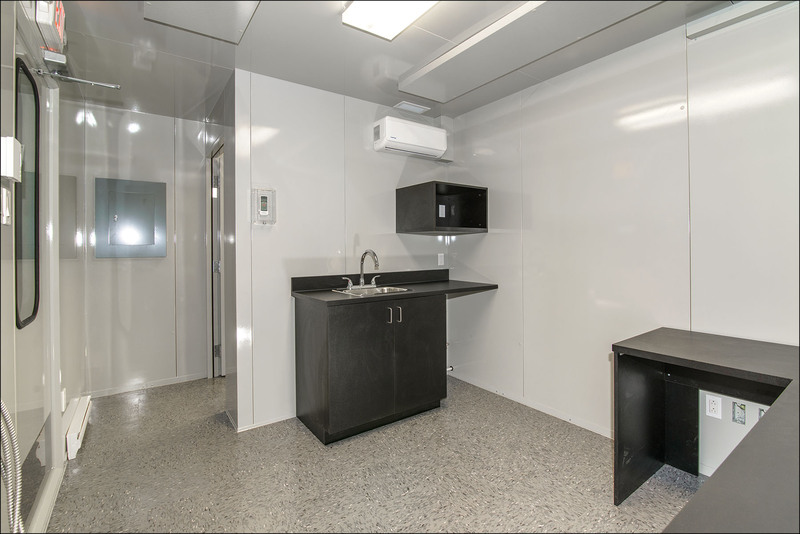 MECART modular buildings are constructed with galvanized steel panels covered with high-performance paint (or stainless steel for extreme conditions). 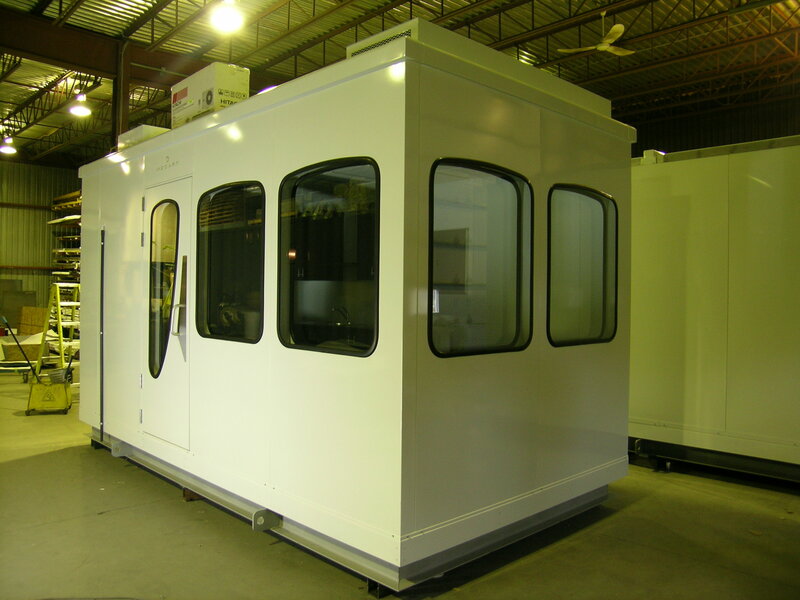 Our sturdy design is specially designed to withstand extreme weather (frost / thaws), corrosion, salt environments, debris, dust, high winds, etc. 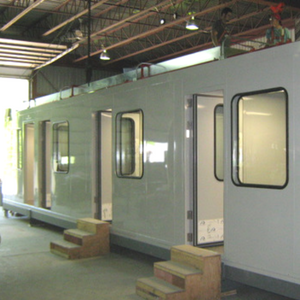 The lifetime of our modular buildings is 25 years and more maintenance free. 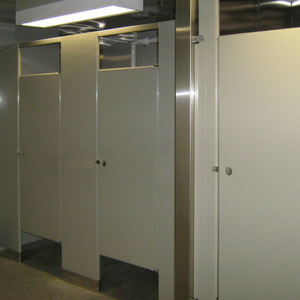 Not only are electrical and mechanical services integrated within the panels, but so is plumbing. 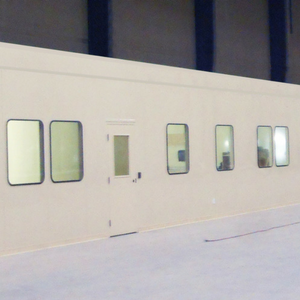 Piping and accesses are installed during the manufacturing of your modular building to facilitate the connection at time of delivery. 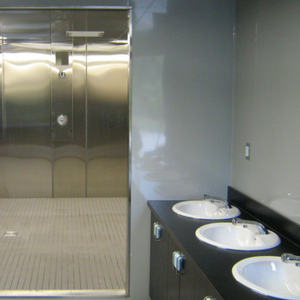 We can even provide and install toilets, sinks, showers, drains, for a complete turnkey. 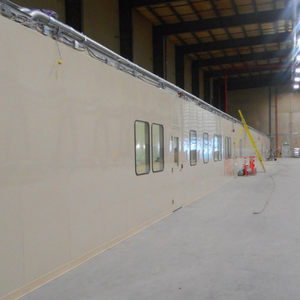 A modular field assembly means that the prefabricated panels are delivered individually to your factory and assembled on site. 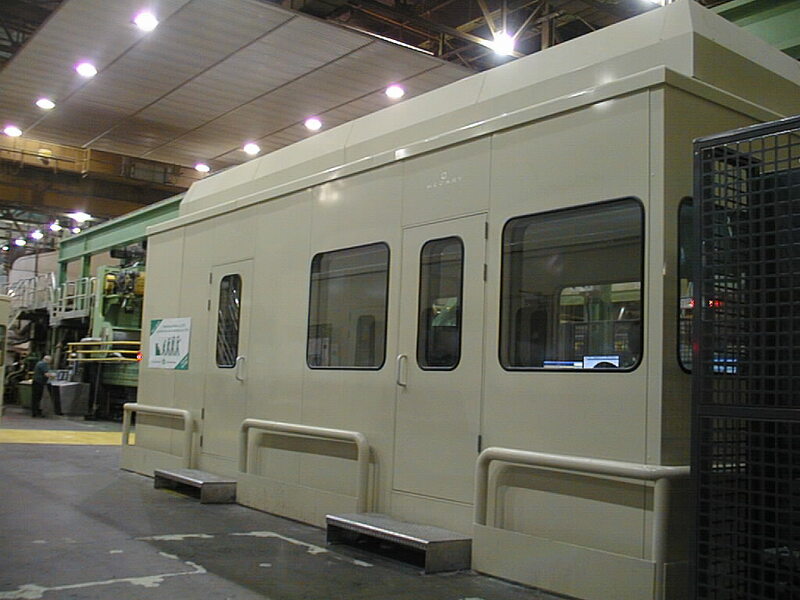 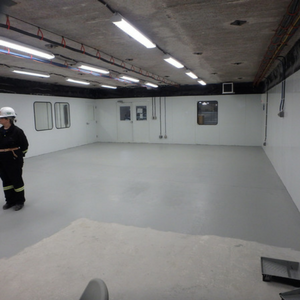 When intended for underground use, the panels can be easily transported and are designed to accommodate the dimensions of elevator cages in mines. 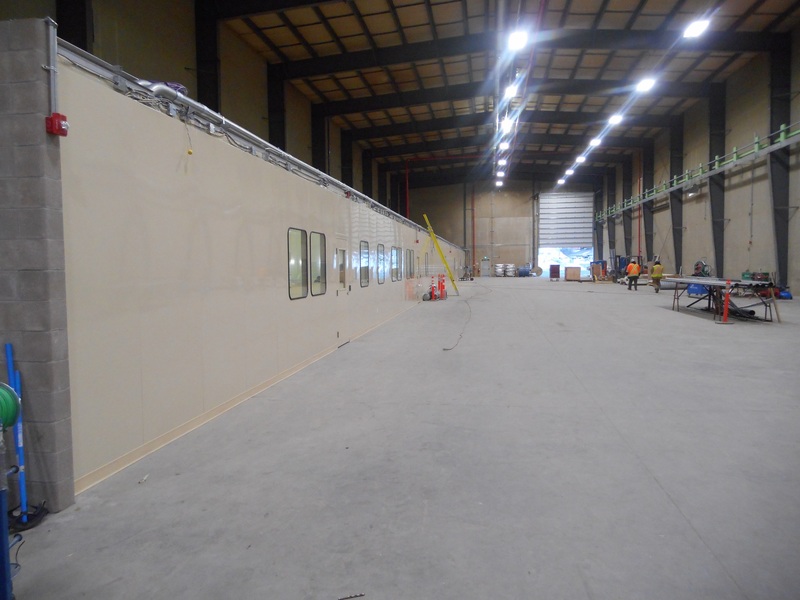 MECART panels are fully prefabricated, including access and required openings, pre-wiring of electrical services, telecommunications and other needs (internet, telephone, electrical outlets …). 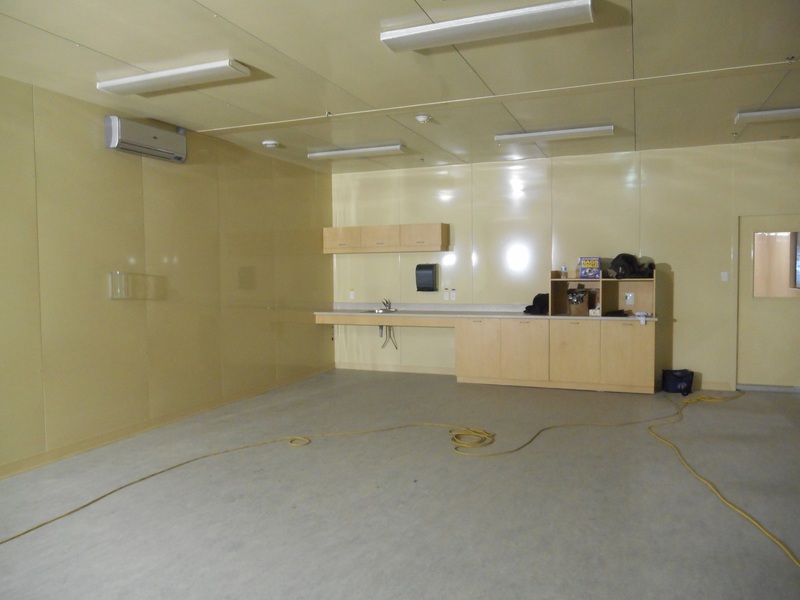 Once on site, installation is completed quickly. 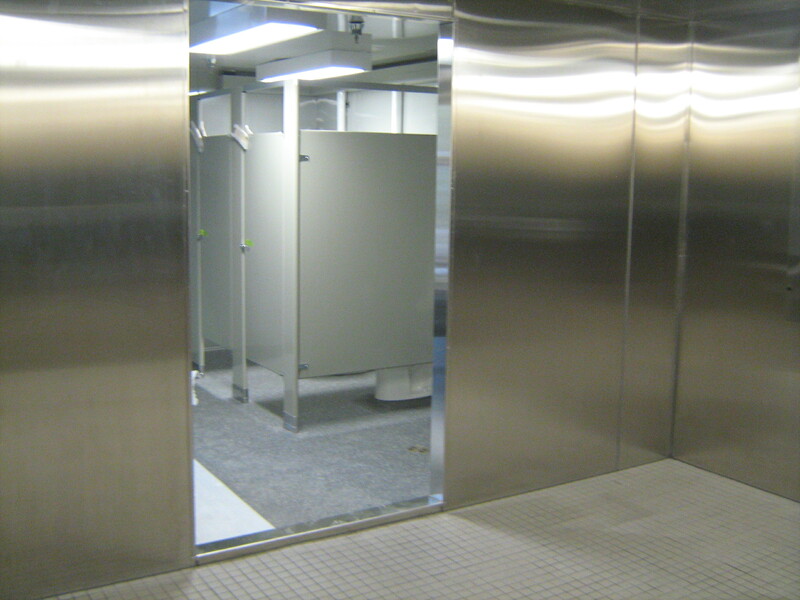 No cutting is necessary, allowing for a clean installation, without generating debris, dust, noise or odors. 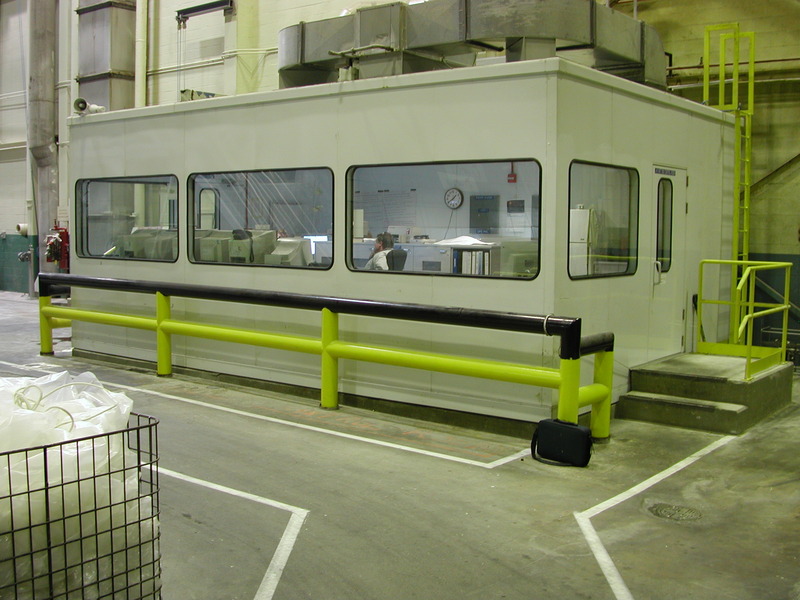 Moreover, this system allows for possible future reconfiguration of the building or even a move. 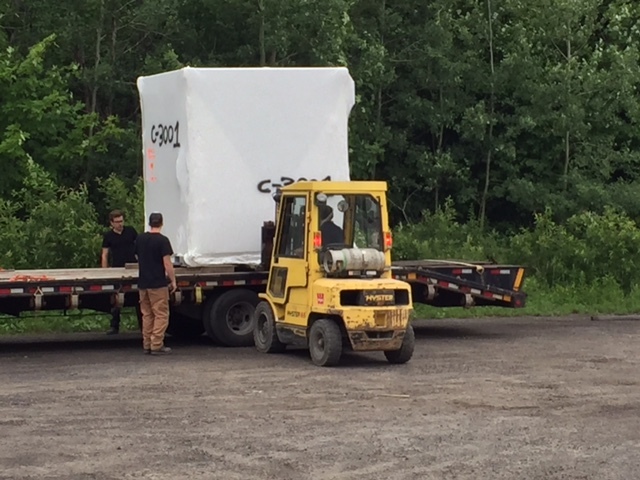 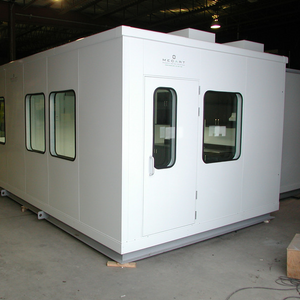 Modular buildings can be preassembled at the MECART factory and shipped to your location in one piece. 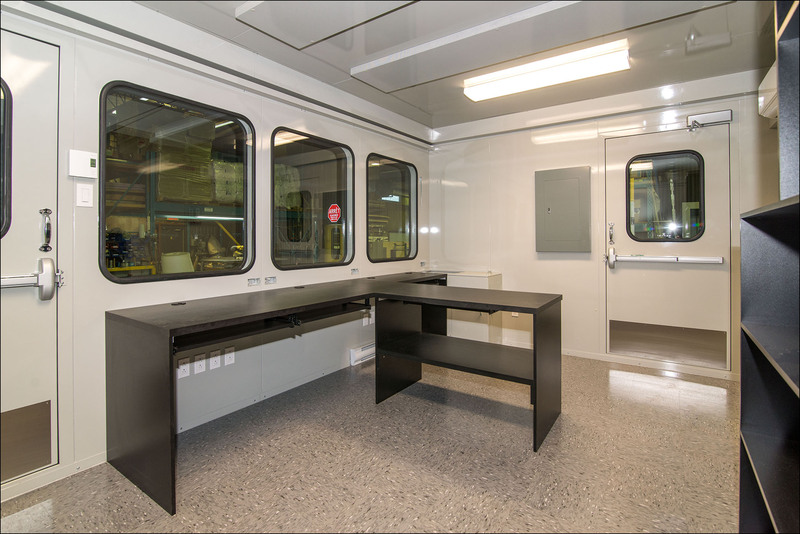 This option is commonly called “plug & play” since once the cabin is delivered, you only have to power it up and it’s ready! 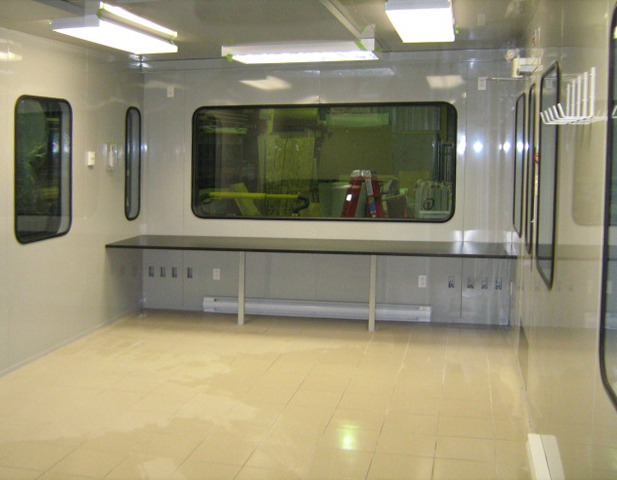 The installation is therefore fast, easy and does not disrupt your operations. 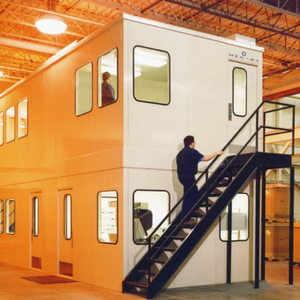 The design of a pre-assembled building differs slightly from a modular room because a reinforced structure including built-in lifting rings is integrated to the modular building to allow it to be lifted in one piece. 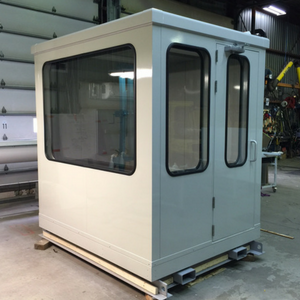 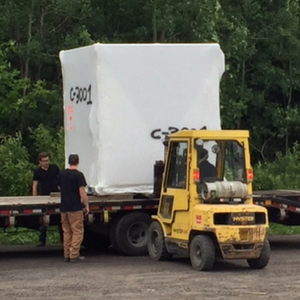 The pre-assembled option is also ideal for a liftable building that has to be moved regularly with a forklift or a crane. 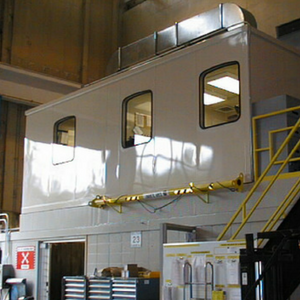 The structure is certified by an engineer. 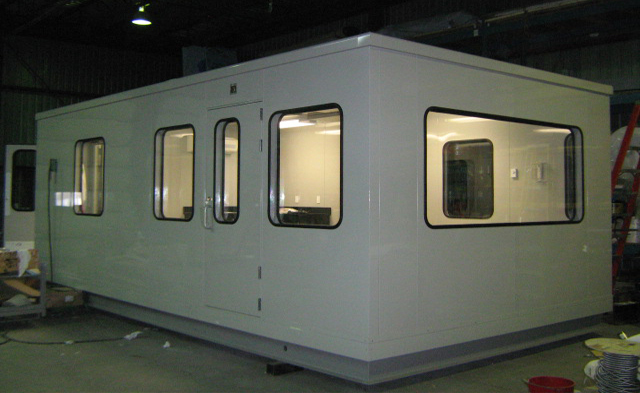 Need a Heavy Duty Modular Building?